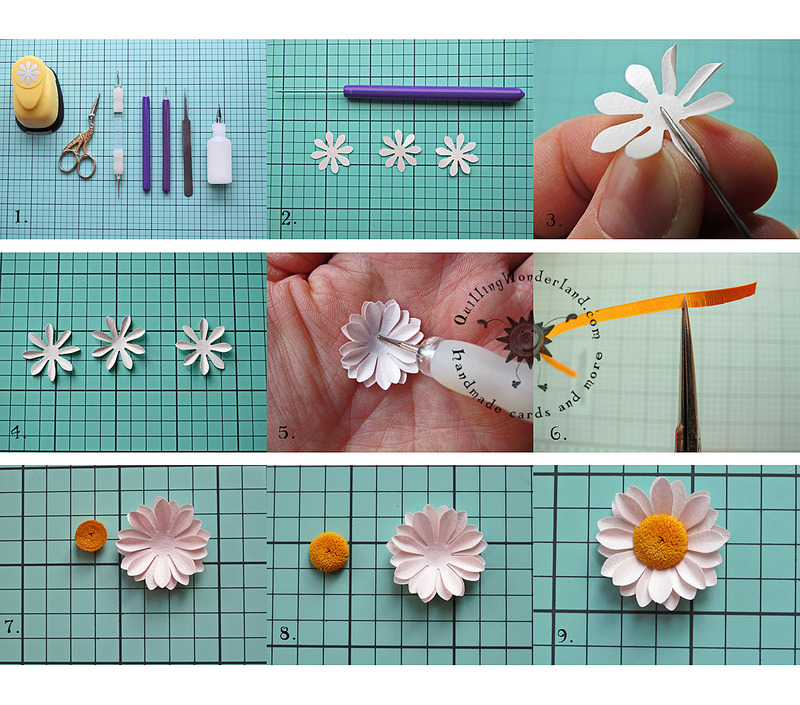 Today I would like to show you, how to make simple paper daisy. It’s not a rocket science but I’m a crappy teacher 😉 Oooops!! 1. 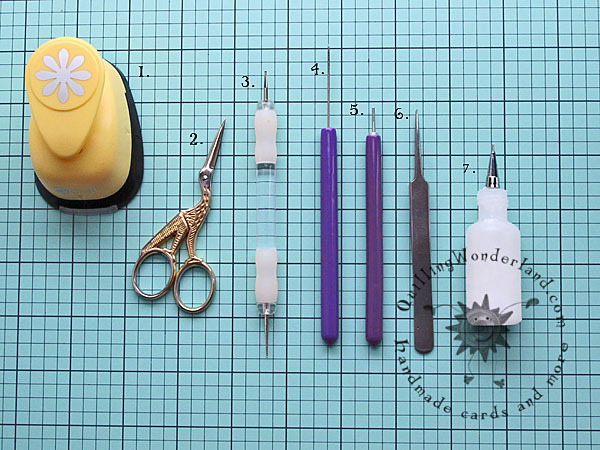 Floral punch: of course you can use your die cutting machines if you have it!! 7. PVA glue: my favourite kind of glue to work with. Punch 3 flowers. I used 120 gsm paper. 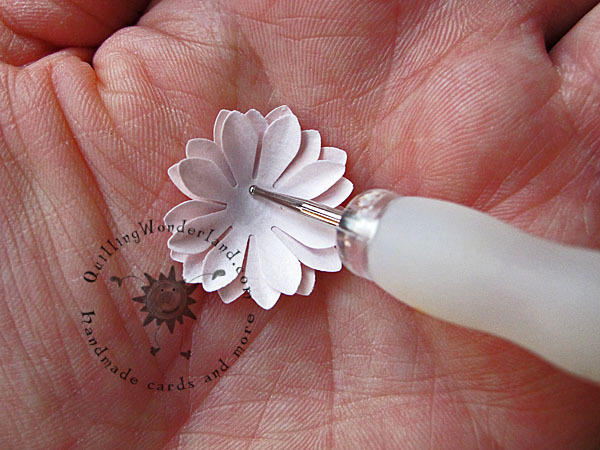 Use quilling needle ( this is the nicest tool I have to crease tiny petals), embossing too or whatever you have close at hand. Glue all punched flowers together. They should look like those on the picture. 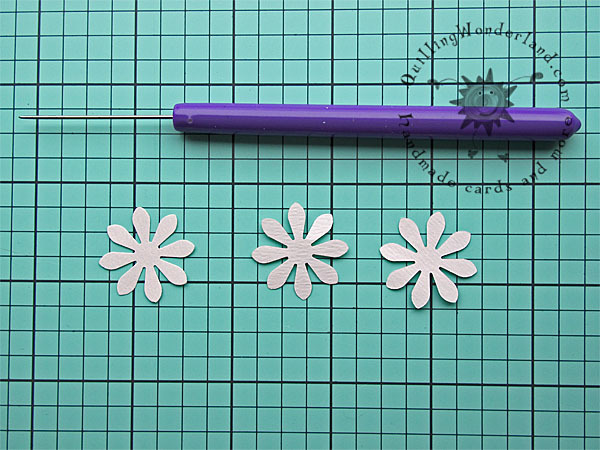 Use your embossing tool or finger to give your daisy more authentic look. Now it’s time for some fringing. 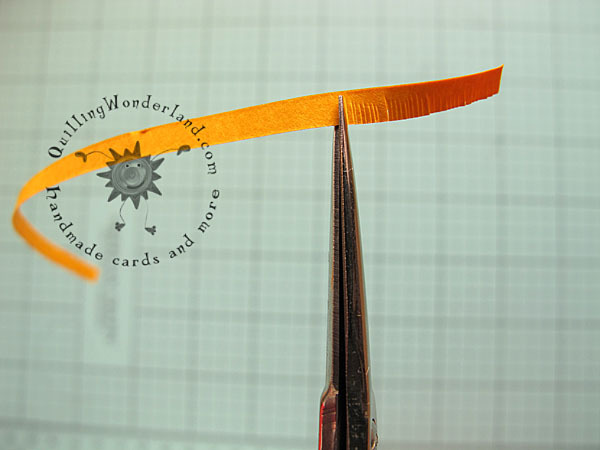 I used 3 mm paper strip to make my flower centres. Here you can find my fringing tutorial.. 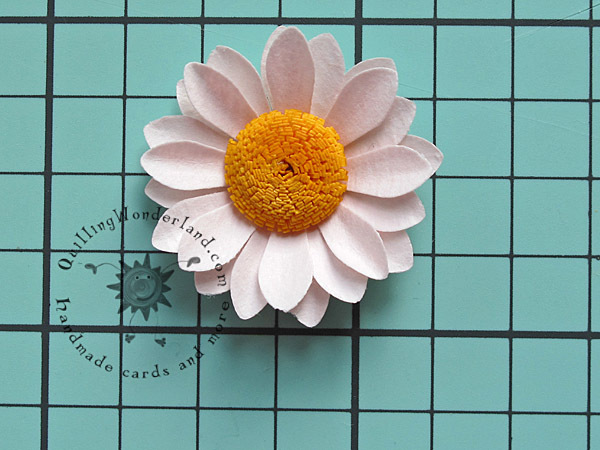 Put your paper daisy together and enjoy your hard work!! 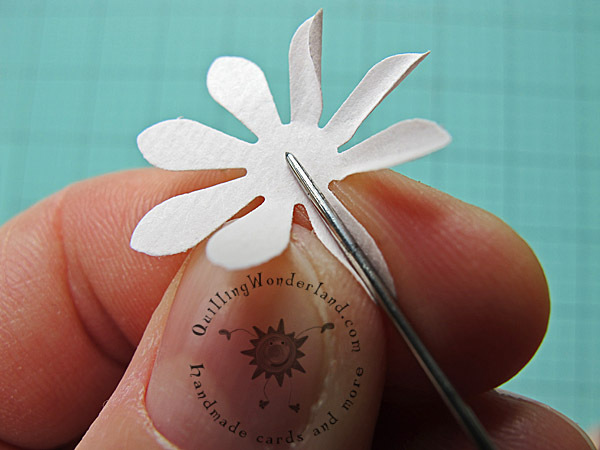 If you’re looking for more inspirations visit this easy paper flower tutorial.